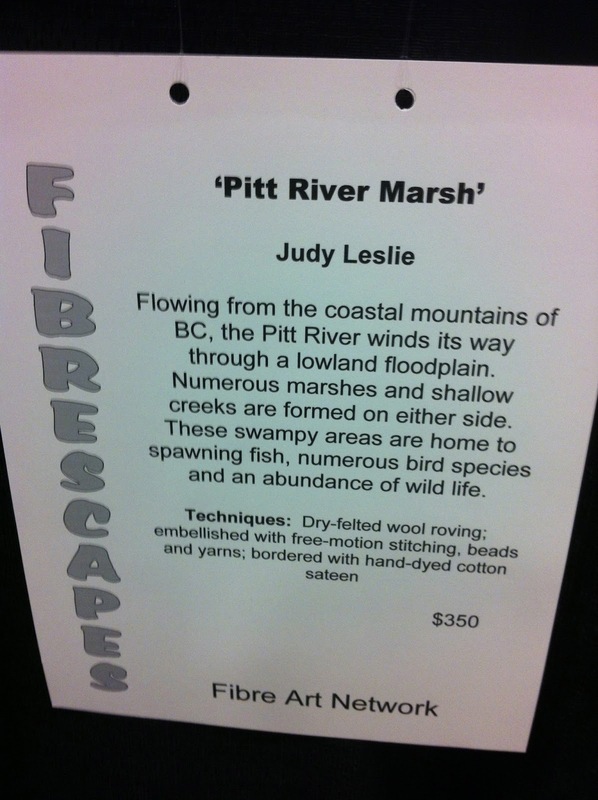 From their website, "the Fibre Art Network (FAN) is a co-operative of self-defined artists based in Western Canada. 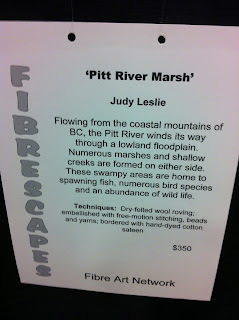 The co-operative was first conceived in the spring of 1998 by British Columbians Pat Crucil and Gail Hunt and then organized later that year by Gail. 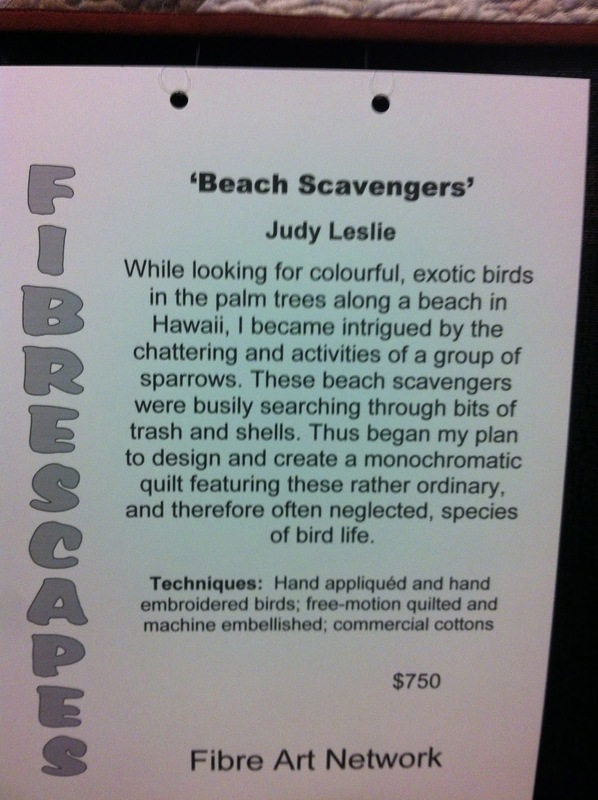 The group is committed to promoting fibre as an art form and each other as artists." 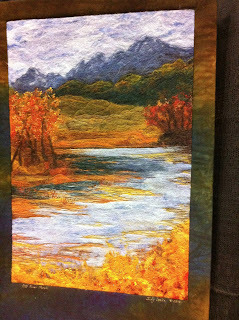 This group of creative quilt artists had some great quilts on display. 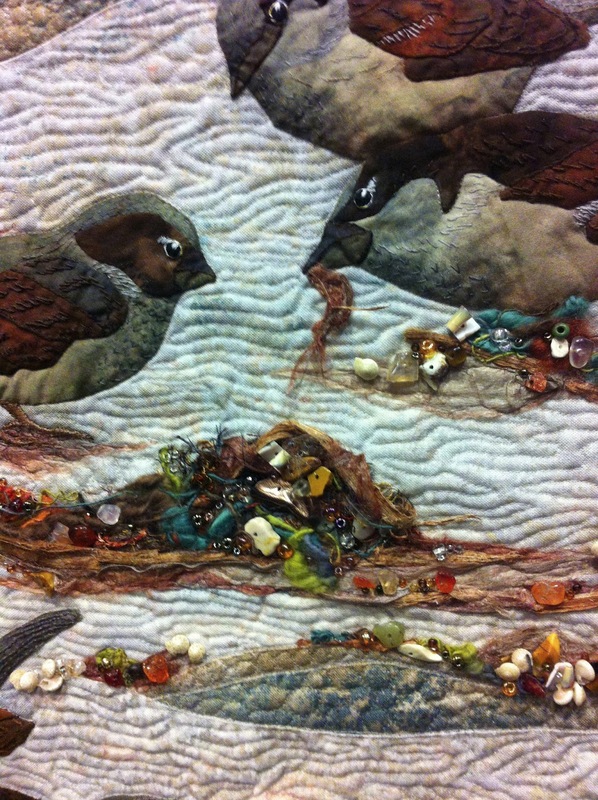 Look at the rocks and shells! 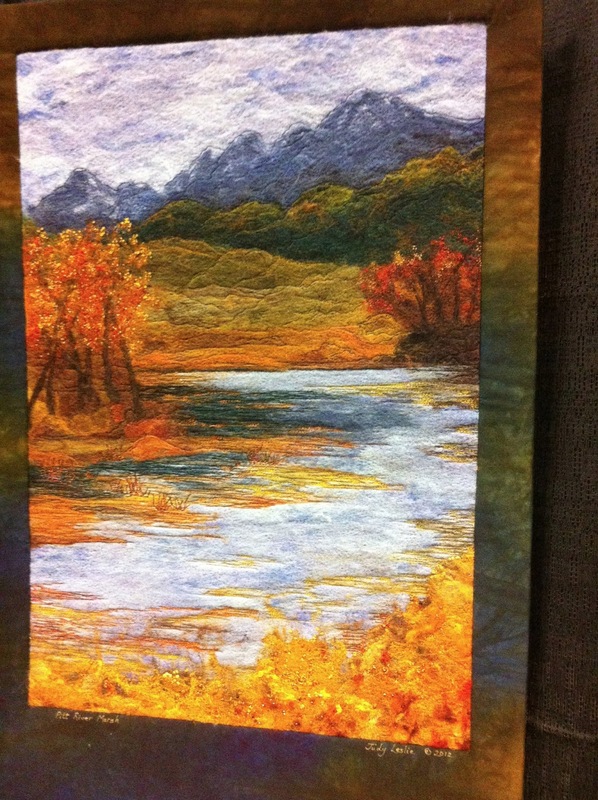 Quilt shows are a feast for the senses and this show did not disappoint! Quilters are pushing the boundaries of what most people think of when they hear the word "quilt" and many of the quilts on display were beautiful pieces of art! PS - there's more to come. . .